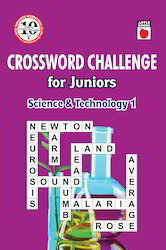 Exporter of a wide range of products which include cross word challenge lands & people 1, cross word challenge lands & people 2, cross word challenge science & technology 1 and cross word challenge science & technology 2. 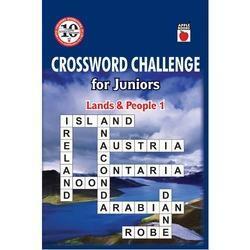 Cross Word Challenge Lands & People 1 offered is crossword challenge for juniors based on knowledge of land and people. Comprising 128 pages, this softbound book features exposure to facts as well as covers varied subjects that help in enhancing creative & critical skills. Further, its brightly illustrated finish makes it suitable for preschoolers and helps in inculcating reading habit amongst young children. The book also supports demands of conducting an interactive learning session with kids. •Enhances creative & critical skills. 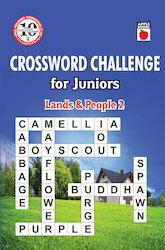 Cross Word Challenge Lands & People 2 book offered comprises crossword challenge for juniors with the challenge based on knowledge of land and people. The books come in 28 page softbound finish and expose children to facts as well as covers multi-range activities in different subjects. The books are part of fun reading and are tried and tested to stimulate young minds. Among delightfully illustrated series of books, it introduce children to the joy of reading and learning as well as foster a love of reading and improve their reading skills. 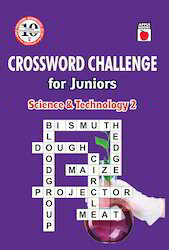 Cross Word Challenge Science & Technology 1 books offered poses challenge for juniors based on their knowledge in science and technology field. Featuring 128 page softbound finish, the book helps in enhancing creative & critical skills of children as well as its activities designed to inspire reading, writing, talking and listening skills. As a wonderful way to learn, the book also helps children to understand different words and get easily associated with the game. Looking for Crossword Series Books ?